When Apple launched their ‘new’ Apple TV at their iPod Event, the revised price tag caught my eye. At $119 CDN ($99US), that price point fits into the “impulse buy” category. Do I need Apple TV? I don’t know yet, although for AirPlay, I just might. But for the same price as a pair of new shoes, heck, maybe I do need one! Imagine what’s going to happen during this holiday season. 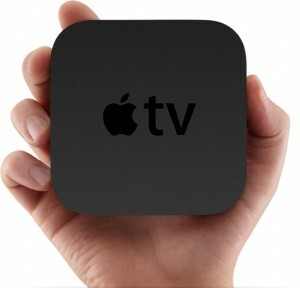 Dads won’t be getting ties or socks anymore–they’ll want an…Apple TV instead? One of the major announcements was the integration of Netflix with Apple TV. Netflix is only available in the USA but that is going to change as of tomorrow. Why? Because Netflix is finally launching in Canada. Netflix launches in Canada Wednesday. offering Canadians movies and television shows in an online subscription service. Unlike video-on-demand and pay per view options, Netflix chargers viewers a monthly fee to access to online entertainment.. In the United States, the service is available both online and through mail order for DVDs. However the company said earlier when it announced it plans to launch in Canada that the service here would be online only. Netflix co-founder and chief executive Reed Hastings will be in Toronto for the launch, with a news conference slated for 9:30 a.m. Toronto time. 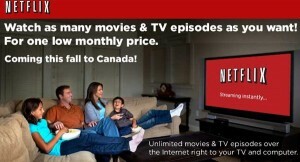 Netflix in Canada will be an online only service. I don’t care about the whole DVD-mail-out service. That’s too much of a carbon footprint. If the pricing is aggressive enough, I can see many people signing up for streaming Netflix services. Apple TV will help streamline that service right to your home. I know many people get their movies/tv in “other ways” (ie downloading), but for the average Joe/Jane Netflix may come as a very easy solution to consume the latest media. What do you think? Are you excited for Netflix in Canada? Click here to sign up for a one month free trial. 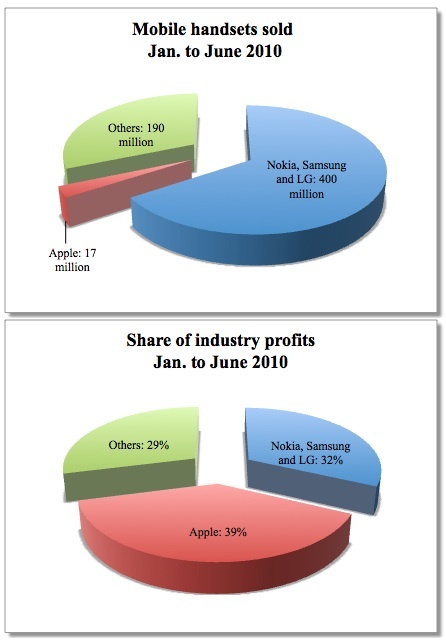 In other news, Shaw warns the CRTC of Google/Apple TV–while they have just gobbled up Canwest Media. Seems like the ‘old boys’ of cable are getting a bit worried?